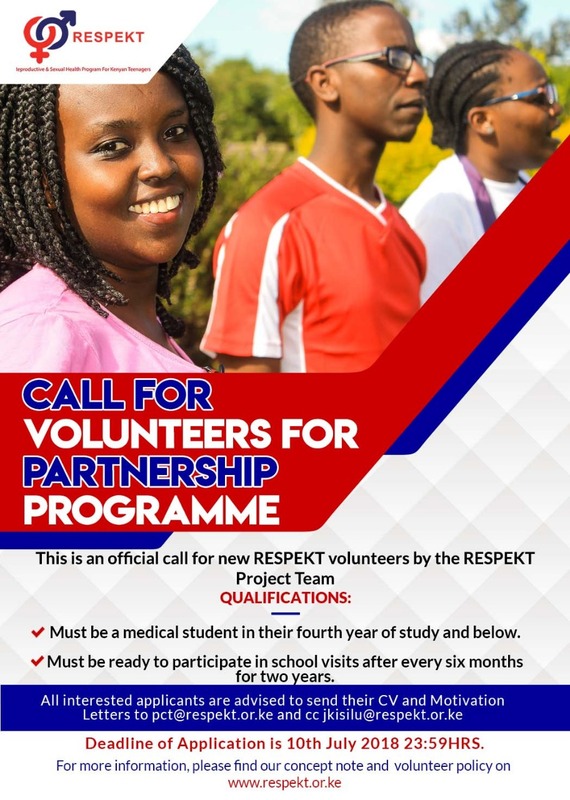 Call for additional volunteers for PROJECT RESPEKT. 1. Must be a medical student in their fourth year of study and below. 2. Must be available for school visits for two years(up to end of 2020).